LOS ANGELES—In an effort to generate hype for the upcoming release, pop icon Beyonce unexpectedly debuted a teaser foot Thursday ahead of the highly anticipated birth of her twins, sources confirmed. “Beyonce wanted to provide a taste of what’s to come for all the fans out there,” said publicist Yvette Noel-Schure, who explained that the world-famous recording artist had been quietly working on the twins for months and noted how the latest endeavor represented an ambitious new direction for Beyonce compared to her last single birth in 2012. 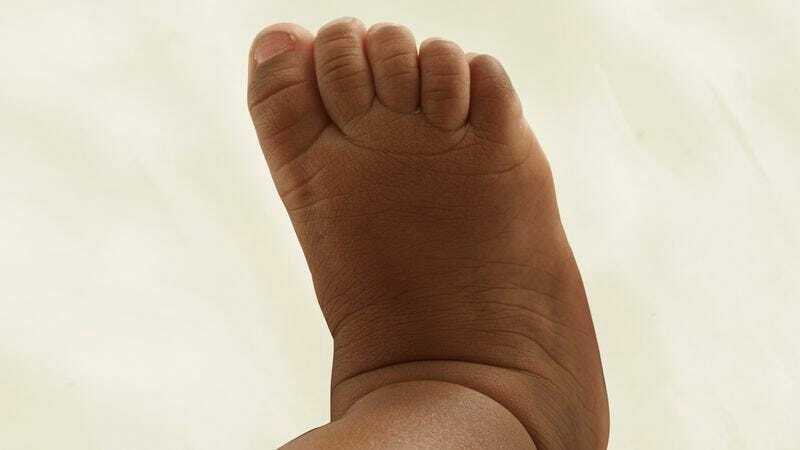 “Longtime fans will love the pudgy little ankle and the captivating, uniquely original toes of this tiny right foot, which Bey produced along with husband Jay Z. Make sure to keep your eyes peeled for when the rest of these twins drop, which will be sometime soon.” As of press time, dozens of articles had already been written carefully analyzing the foot and speculating whether Beyonce’s forthcoming double-newborn release could ever live up to the seminal, widely acclaimed Blue Ivy.